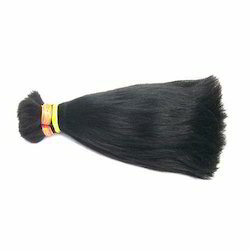 In order to cater the diversified demands of our clients, we have been able to provide a unique range of Non Remy Double Drawn Hair. 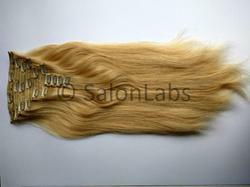 We are engaged in offering our clients fashionable Remy Double Drawn Bulk Hair, which are very popular in the market nowadays. Further, these hairs can change your appearance just by changing your hairstyle and give you a completely different look. Moreover, these wigs give you very natural look. Our Clients can avail these wigs at leading market prices. Color: Natural Color are avialable.